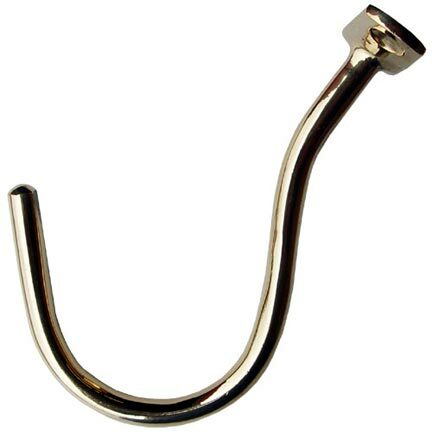 This is a brass pool table hook for bridge or rack storage. It has a 2-1/2" opening, and mounts on the side of a pool table cabinet. It measures 5" overall.